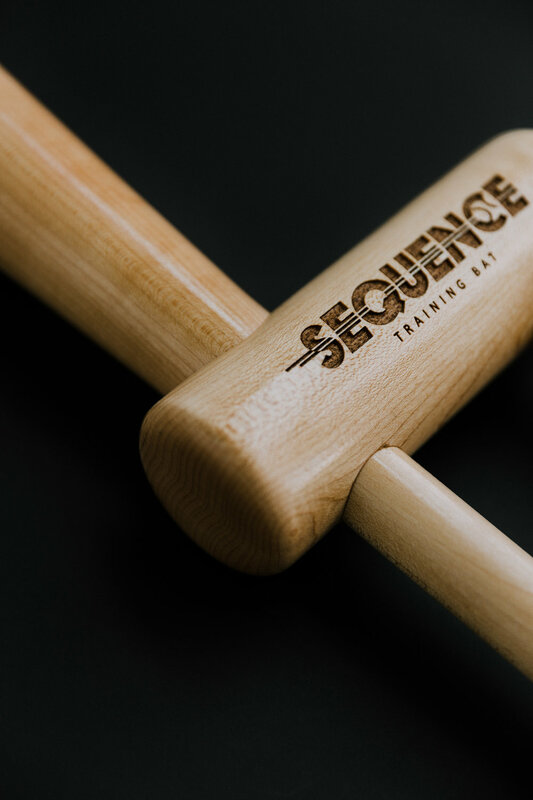 The Sequence Training Bat’s new swing training technology separates ones hands while training. This powerful and patented feature affords baseball and Softball athletes the ability to actually “feel to learn” how well sequenced their hands are at impact. This immediate feedback (+ or -) provides athletes with a new understanding of hand movements their strength and weakness. Teaching them the optimum swing plane/path and barrel control necessary for a more consistent and powerful swing! Custom made out of the highest quality maple hardwood. size: 6 1/4" x 25 1/2"
Ready to revolutionize your swing? Over 35 years ago I played collegiate baseball in Arizona and Florida. Where I was fortunate to play in two College World Series’. I have also coached and trained hundreds of Baseball and Softball athletes from all ages and skill levels. It is in the athletes successes as well as failures that I discovered the proper knowledge needed to develop this new revolutionary swing training technology. The Sequence Training Bat was specifically developed to train the proper hand movements throughout the swing. Using this technique the bat reinforces the optimum swing path and barrel control necessary for a more consistent and powerful swing. Feel to learn the science behind the swing. "Inspiring confidence, one swing at a time."